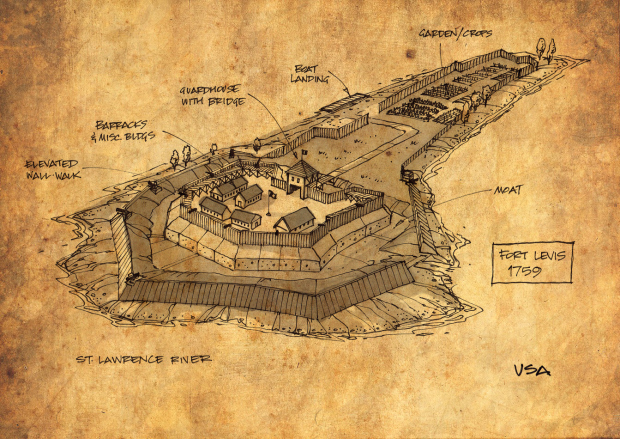 Check out this post on the remains of Fort Royale in the St. Lawrence River. 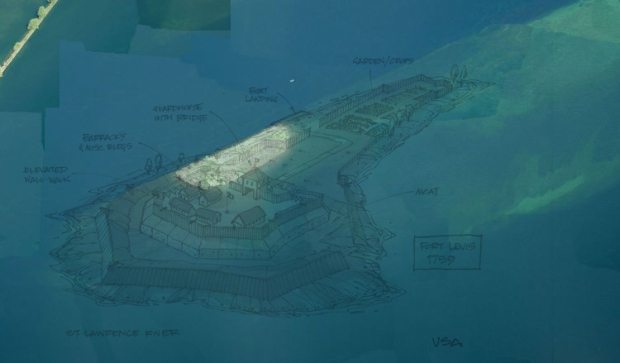 A concept sketch of how the fort would have looked on Isle Royale in 1759. 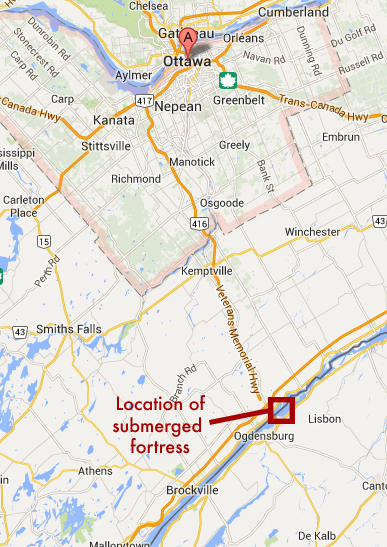 Flooded by the St. Lawrence Seaway project, whatever remains of the 1759 island fort are currently underwater. Driving south of Ottawa on the 416 for about an hour you can cross the border into the United States over a bridge which spans the St. Lawrence River near Prescott. Like thousands of others travelers, I’ve crossed the suspension bridge at a great height over the water and islands below, gazing in wonder at the mighty river that connects the Atlantic Ocean to the Great Lakes. But it is only now that I am discovering there is a submerged fortress island of great historical significance in the waters below.